Over the years, we’ve worked with many fabulous bloggers to help create the closet of their dreams. From small, challenging reach-ins, to gorgeous dressing rooms, here are some of our favorite blogger projects to help inspire you to build your dream closet. After moving into her new home, blogger Laura Boswell realized she had more clothes than closet space. 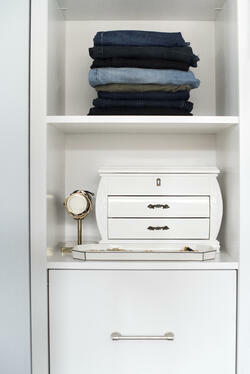 To accommodate her fashionista needs, Laura transformed her spare guest room into a spacious walk-in closet. Laura used SpaceCreations Premier in our Bright White finish to create an L-shape design, and then further customized her closet with sophisticated drawer fronts, handles and a place for jewelry. Blogger Sarah Gibson is a true believer in quality over quantity, so when she needed a high-end closet that also complemented her minimalist wardrobe, she chose SpaceCreations Classic White. When designing her closet, Sarah focused on creating space for her staple wardrobe pieces and a designated section for accessories. 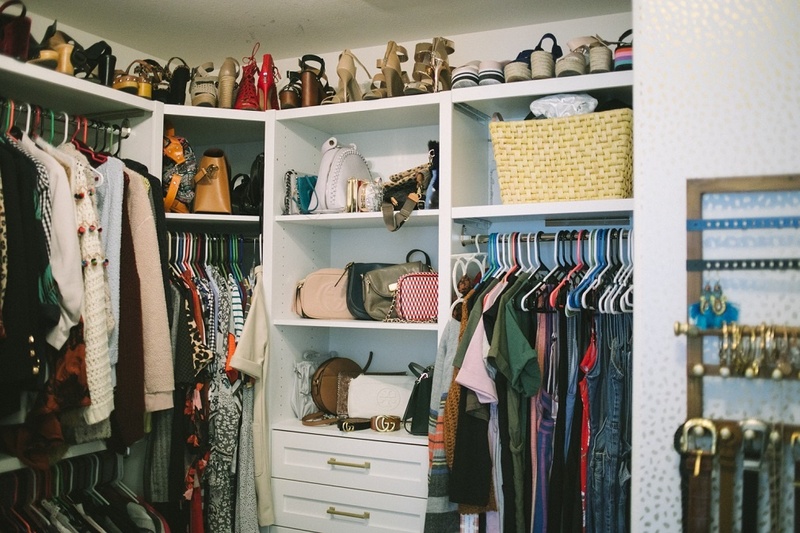 Since blogger Sandy Chang’s dressing room would also be used as office space, she needed a closet that could hold her whole wardrobe and look visually pleasing. To accomplish this, Sandy selected ClosetMaid Impressions in a modern white finish. Using an L-shape design with four towers, Sandy was able to incorporate long and double hang space, drawers and plenty of open shelving to display her chic and fashionable accessories. When designing her walk-in closet, Kenzi knew she wanted a space where everything would be visible. 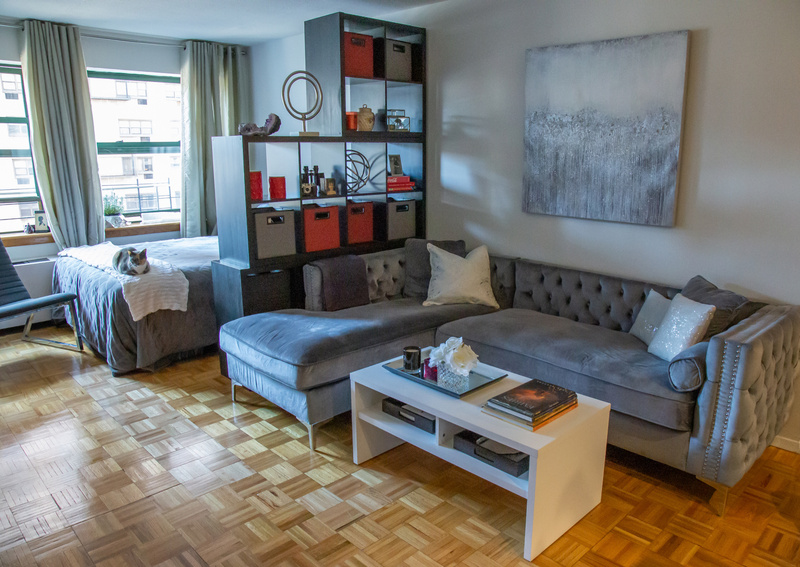 To address her storage needs, Kenzi chose ClosetMaid’s SpaceCreations Premier system in a Bright White finish. Then, Kenzi added hanging space and open shelving to make everything easier to locate, and also included an extra frame along an unused wall to showcase all of her stylish shoes! 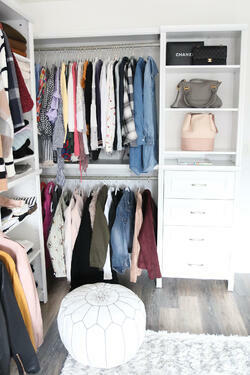 Blogger Oksana Radionova’s main challenge in her master closet was a sloped roof. With varying wall heights in the closet, an adjustable and flexible storage system was just what she needed. Oksana selected ClosetMaid’s ShelfTrack wire system and opted for both long and double hang space, shoe shelves and open shelving. She then completed her design with a wire drawer kit to store folded items and accessories. 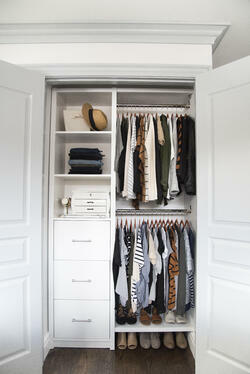 If you loved these closet makeovers, see more transformations on our blog here! 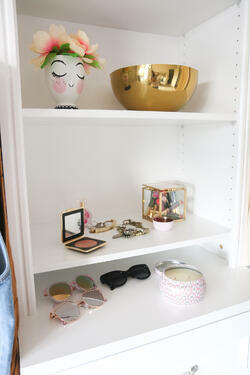 0 Comments on "5 Blogger Closets We Love"